Calendar display of photos per day, month, and year. Switch between calendars by flicking sideways on the screen. 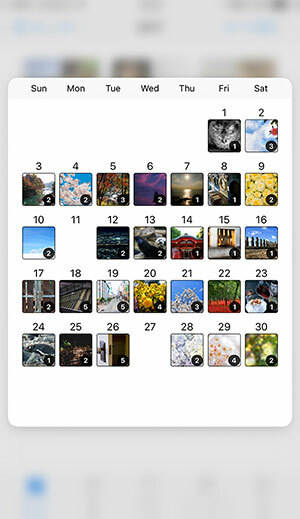 Use "Latest" to display a list of the 100 most recent photos. Display photos on a map based on their location information. Zoom in and out on the map to rearrange the photos smoothly. Display photos in sections based on the date they were saved. 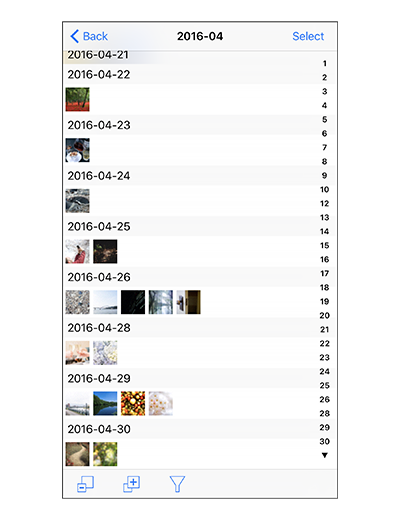 Use the index list on the left to move photos to the desired year, month, and day. 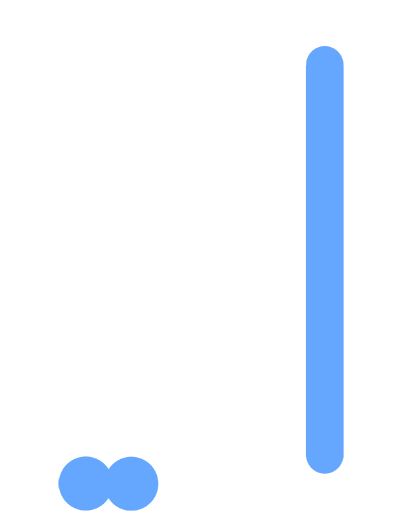 Pinch in and out on the screen to change the size of the thumbnails. Apply a search filter based on the type of photos and videos. 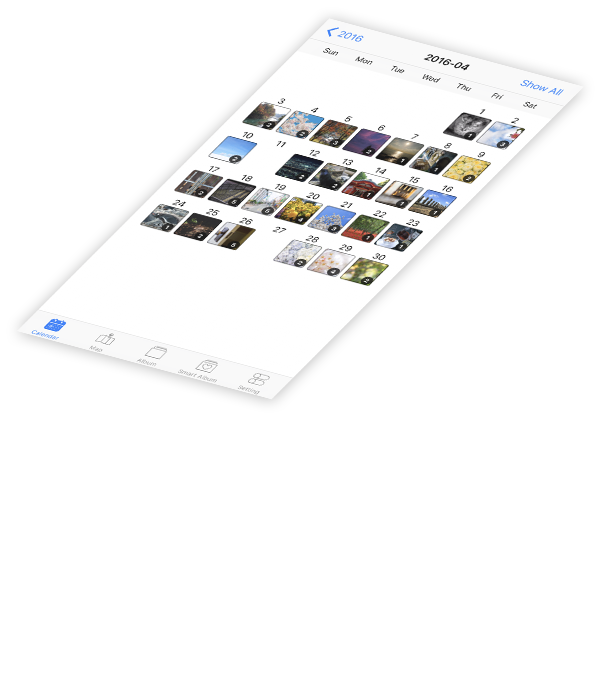 Select multiple photos to perform a variety of operations, such as adding them to albums or deleting them. 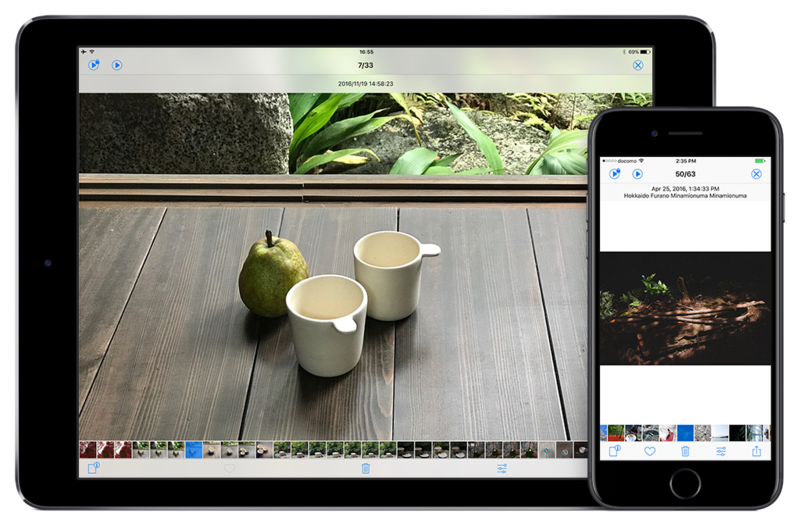 Pictures in preview can be slideshow. 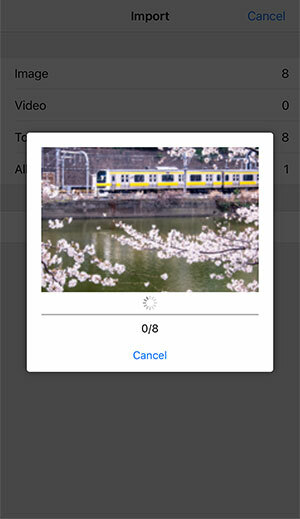 You can set the timing of slideshow start and photo switching, and you can select a transition. The slideshow has a kiosk mode that prevents erroneous operation, and exhibition mode assuming use in galleries and shops is also selectable. This mode prevents you from executing certain operations by mistake while viewing photos. 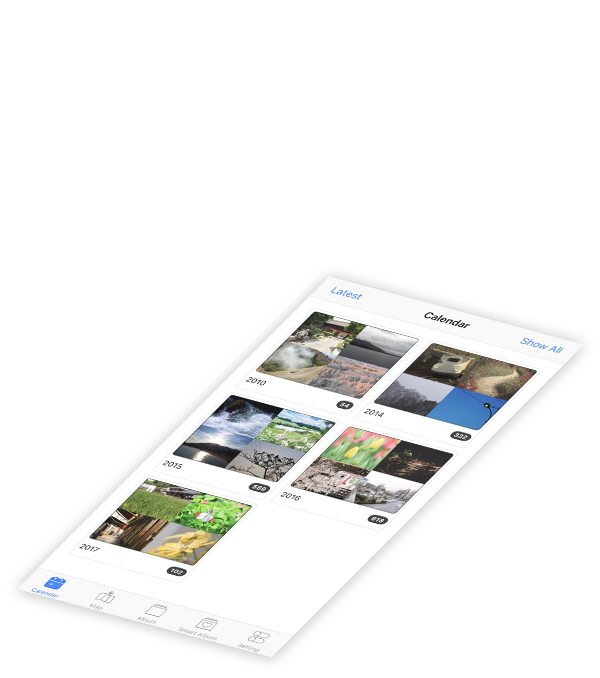 Prevents users from editing of photos or transitioning to other screens. 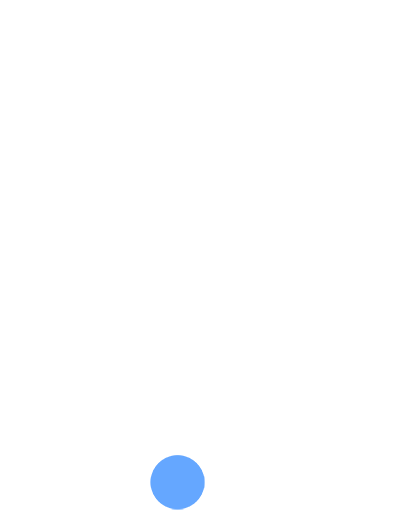 To cancel this mode, enter a passcode or your TouchID (or restart the app). 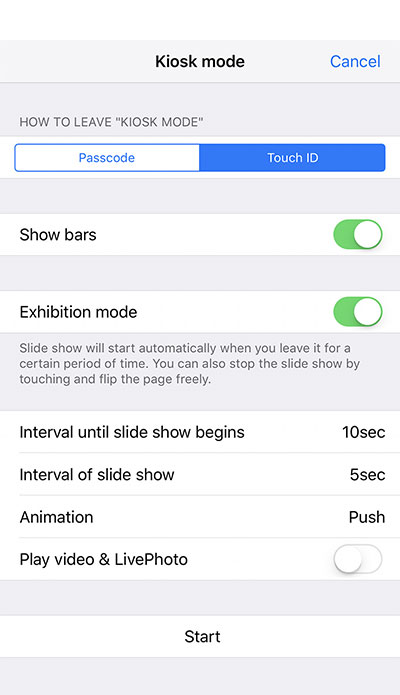 In addition to kiosk mode, exhibition mode starts a slideshow automatically after the app is left idle for a specified amount of time. Touch the screen to pause the slideshow and look through the photos manually. 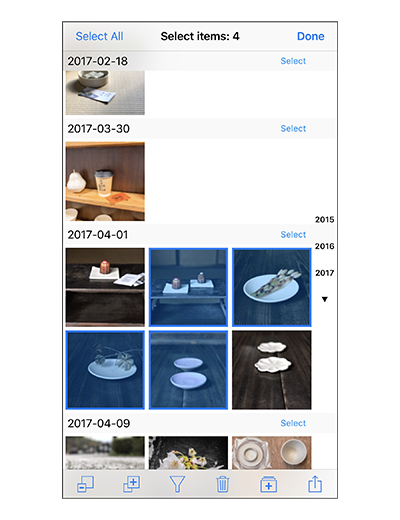 You can use this function to display product catalogs in galleries and shops. 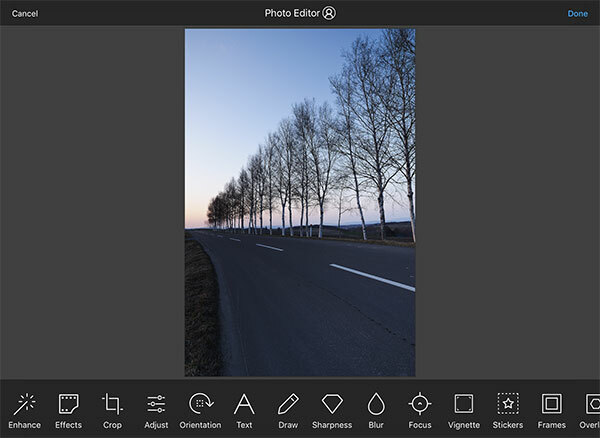 Built-in simple photo editing function provided by Adobe (Edited photos are saved as new photos). 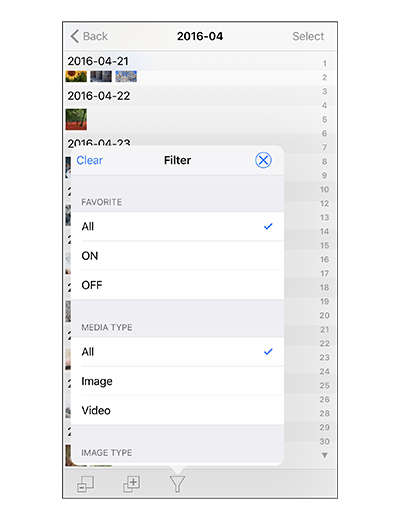 Use the app’s proprietary preview interface to search for other photos quickly, even when in full screen mode. View detailed information about photos (EXIF, etc.). 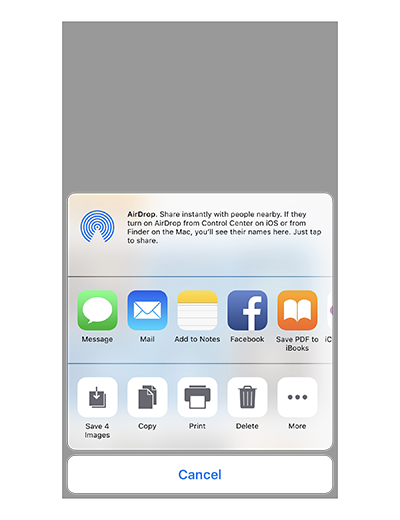 Use 3D Touch to preview not only the photos, but also the calendar display and thumbnail list display. 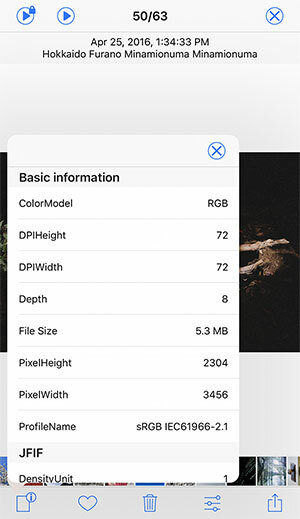 Immediately access photos in the last few days from the widget. 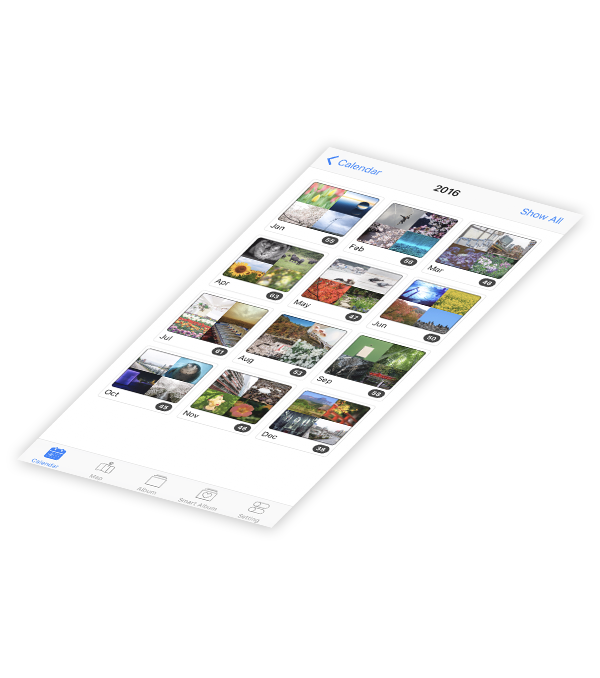 Transfer photos from iTunes > Device > App > File Sharing > Pictream. Use Settings Tab > Read In (Import?) 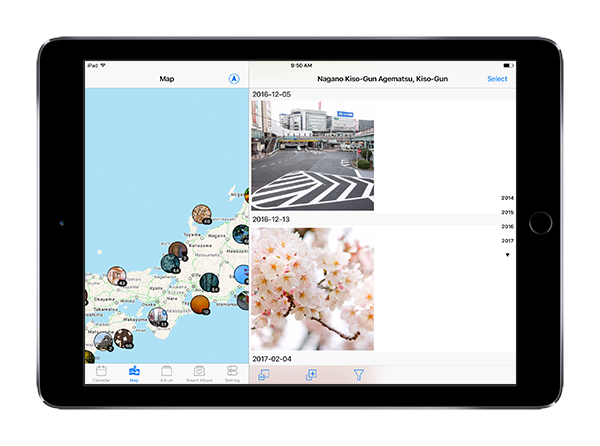 to read in the transferred data into your device's photo library. If the data includes folders, a new album is created, using the folder name as the album name.